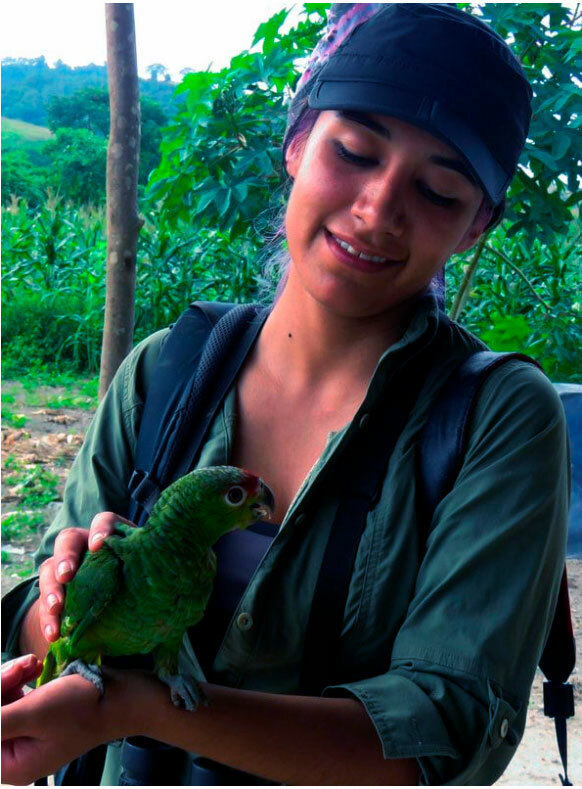 The Great Green Macaw Project provides the opportunity for future conservation and the field. Biologists can learn and work closely with the incredible Great Green Macaw (Ara ambiguus). The subspecies (Ara ambiguus guayaquilensis) is a critically endangered bird with less than thirty (30) individuals in the wild. The species became extinct in the area of liberation, Ayampe, more than fifty years ago. Our objective is to establish a wild population in the Ayampe Reserve and its surroundings. 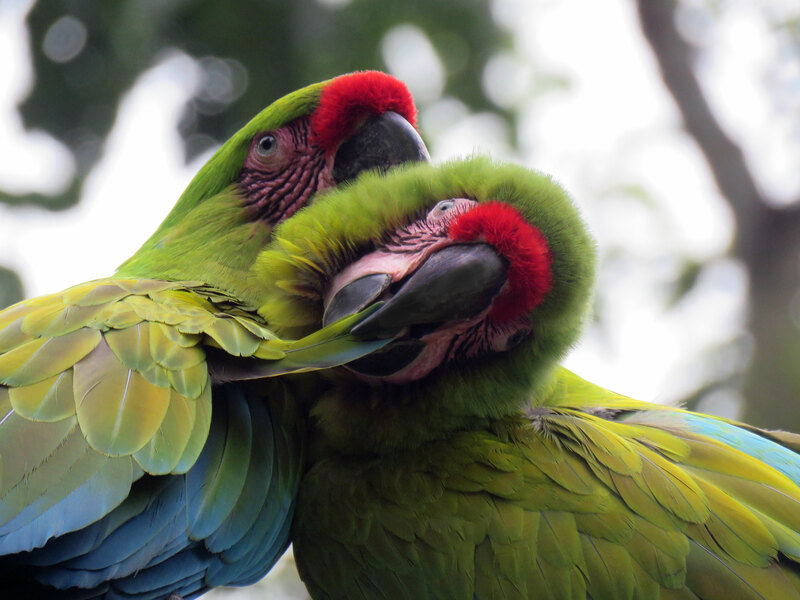 We have the incredible support of the Loro Parque Foundation and we work together with the Jambeli Rescue Center, the only Center for the captivity of parrots in Ecuador for conservation purposes. Collection of native fruits and seeds. Pre-release bird feeding and food supplement for released individuals. Maintenance of aviaries, cleaning and enrichment of cages. Environmental education in local communities. 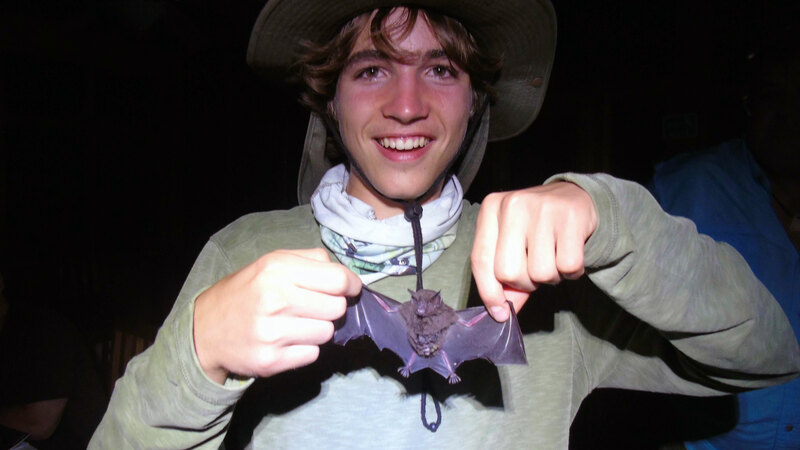 Field work: depending on the season, this will include going to the forest and climbing trees to monitor the nests. The volunteers are housed in the homes of host families who live around the Reserve. The water is not potable, so it is not recommended for human consumption, you will be available bottles of drinking water for consumption. The volunteer receives 3 meals a day (breakfast, lunch and snack), we have different menus in case of dietary restrictions such as vegetarian, vegan and celiac. 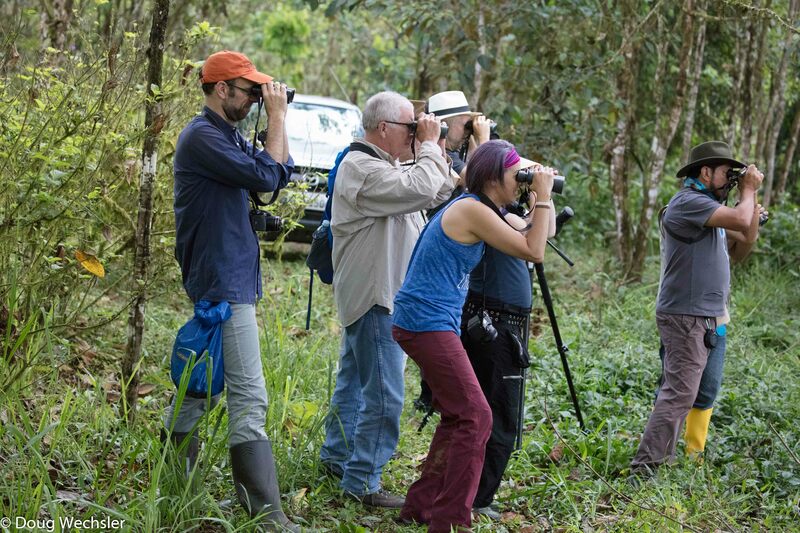 The Tesoro Escondido Reserve has 1200 hectares and is located in northwestern Ecuador, in the heart of Chocó. 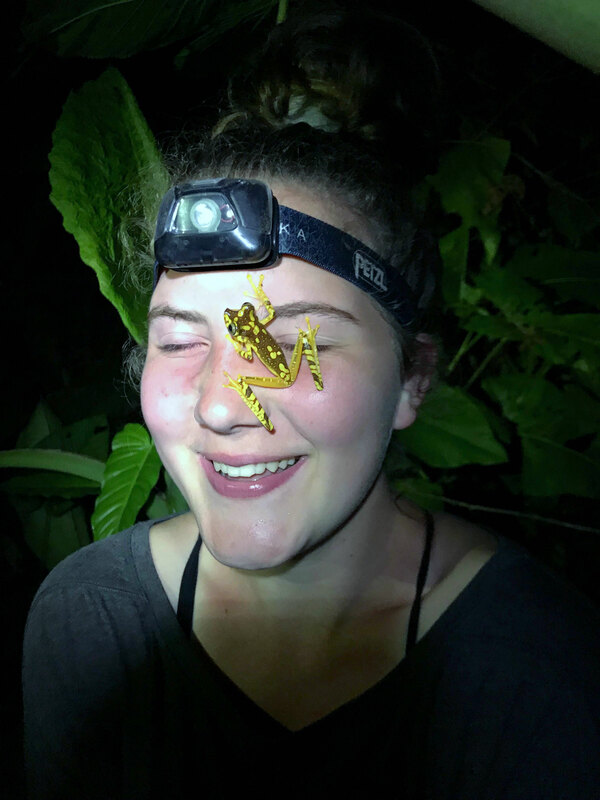 El Chocó is a hot spot of biodiversity or "hotspot" and one of the most threatened tropical forests in the world. Tesoro Escondido is home to one of the last healthy populations of brown-headed spider monkeys amid anthropogenic pressures such as the expansion of the agricultural frontier, deforestation and hunting. The Tesoro Escondido Reserve offers a wide variety of volunteer opportunities for people of all ages. Development of sustainable practices for the homes of local communities: waste management, phytoremediation, dry toilets, alternative sources of energy, etc. Training of the local community of peasants in administration, computing, accounting. Design of marketing strategies (brochures, posters, videos, etc.) to publicize the reservation locally, nationally and internationally. Maintenance of the website and facebook. Volunteers stay in the homes of the farmers who live around the Reserve, the rooms are shared and have a bed and mosquito net, the house is shared with the Reserve staff, and volunteers participate in daily activities such as cocoa harvesting and chocolate preparation . The houses do not have electricity, however a generator works during the night. Volunteers are provided 3 meals a day (breakfast, lunch and snack), we have different menus in case of dietary restrictions such as vegetarians, vegans and celiacs. 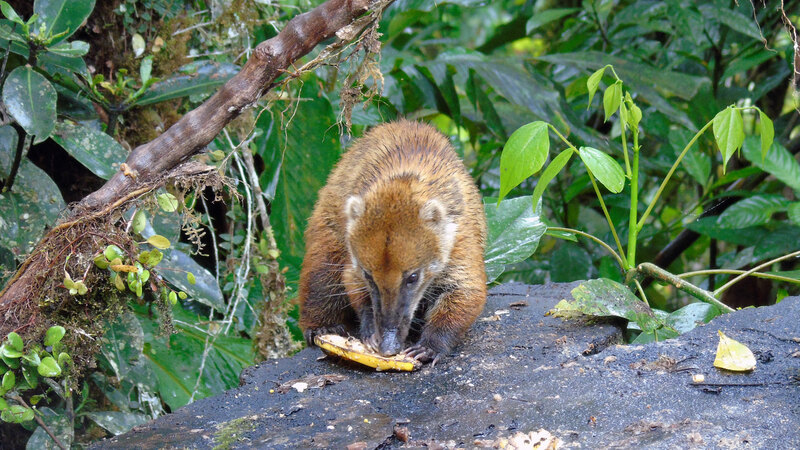 The Reserve Buenaventura was created in 1999 to protect the typical locality of the Perico de Orcés (Pyrrhura orcesi), which was discovered on this site by Robert Ridgely and other researchers in 1980, and described by him and Mark Robbins in 1988. In the decade of the 90's, the forest cover of this area was reduced and devastated substantially due to the creation of extensive pastures. The reserve grew from its initial 400 hectares to almost 2,000 hectares in 2011. Animal care: collection and preparation of food for feeders, ani feeding ailments, at least once a day. The volunteer house offers comfortable areas in the rooms, living and dining room, reading room and kitchen. Electricity is available 24 hours. The bathrooms have hot water. Wi-Fi is available in the living rooms. The laundry service is offered at low cost, or volunteers can use washing machines. The volunteer is provided 3 meals a day (breakfast, lunch and snack), we have different menus in case of dietary restrictions such as vegetarian, vegan and celiac. Basic Spanish will be useful but not mandatory. Consider that in the reservations the knowledge of English language is very basic. For all the programs, the schedule is from Monday to Saturday, 6 hours per day. On Sundays you are free. For programs of three weeks or more, every 24 days, volunteers will have 6 accumulated free days to travel outside the reserves. Application Rate: There is a single contribution of $ 40 non-refundable, this value covers the right of processing, transaction costs, management, documentation, copies and others. The placement of the volunteer in the program can not be confirmed until the application fee has been paid in full. Longer programs and their corresponding costs can also be arranged. Do you want to volunteer in Science and Reserch Courses? You want to visit the reserve Science and Reserch Courses?